The Nigerian Content Development and Monitoring Board (NCDMB) has declared that Korean shipbuilding giant, Samsung Heavy Industries (SHI), has transformed Nigeria into a hub for fabrication and integration of Floating Production Storage Offloading (FPSO) unit in Africa. Speaking to journalists in Lagos on the local content milestones in Nigeria’s oil and gas industry, the Executive Secretary of NCDMB, Mr. Simbi Wabote stated that the massive investment of SHI in Lagos is a major breakthrough in the implementation of local content in Nigeria. Wabote, said the successful construction and local integration of the Egina FPSO in the company’s fabrication yard in Lagos was a key success story in the Nigerian content initiative. “Under the local content implementation we have seen a major breakthrough with the massive investment by Samsung in Lagos. “The successful construction and integration of the FPSO for the Egina project is worthy of mention, and this is a key success story and going forward this singular asset will bring about massive revenue to the country as we expect other African countries to take advantage of this facility than going outside the shores of the continent for FPSO construction,” Wabote explained. “Samsung has proved to have efficiently transformed the country into FPSO construction hub, and recall we were doing this in Korea before now,” Wabote added. The Korean giant had set a new record on Nigerian content when it successful completed the FPSO unit, the largest floating oil platform in the world, and also achieved of first oil in the facility. A number of records were broken during construction as the project was the first ever project to meet Nigeria’s demanding new standards for local content as attested to by the NCDMB. For instance, out of the 18 modules in the Egina, six modules were fabricated in the various fabrication yards across the country, and integrated locally in the company’s yard in Lagos, unlike the previous FPSOs, which were all fabricated and integrated outside the country. The Korean firm had declared that during the construction phase, “Nigerian parts and expertise were even flown to Samsung’s headquarters in Korea to be installed in the early stages of construction of the Egina before it was sailed to Lagos for final construction”. 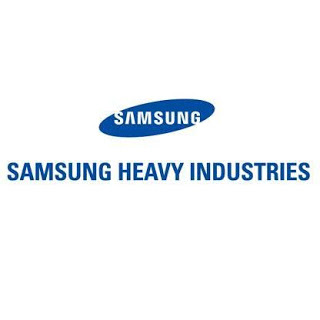 “This success story has been made possible through Samsung Heavy Industries’ belief in the potential of Nigerian companies and workers to deliver to their tough, exacting standards. “Over 9.7 million hours of time have been spent by the Nigerian workforce, with over 6,000 Nigerians in employment on the project at its peak via Samsung and its partners and subcontractors,” the statement added. “Perhaps even more exciting than this direct opportunity for the best companies and workers is the potential it opens up for the country as a whole. As we all know, the oil and gas industry is growing across the whole of Africa, and that means many more floating oil platforms and other pieces of large equipment need to be repaired, maintained and built,” the company said. Before Samsung’s fabrication and integration yard (known as the SHI-MCI yard) was completed, the only choice was to complete this work outside of Africa, removing opportunity and investment from Nigeria’s shores. During the sail away of the FPSO to its final offshore location, the Country Chair and Managing Director of Total E&P Nigeria Limited, Mr Nicolas Terraz, had noted that with the successful integration of the six locally fabricated modules at the SHI-MCI Yard, Total had changed how deep offshore oil and gas projects were executed in the country and set new records for Nigerian Content. “On this occasion, I wish to congratulate the Egina project team for the safe and timely completion of the onshore works in SHI-MCI yard,” he said. Terraz who also added that Egina made history as the first FPSO unit to berth at an integration quay in Africa for the installation of six topside modules that were fabricated in Nigeria, stressed that during the seven months that the FPSO spent at the yard in Lagos, SHI completed eight million man-hours without any lost time injury.